Takeiki is listed as one of the major players who particpated in the exhibition. This was also mentioned in the New Straits Times, Tuesday Jul 14 2009. This event was officiated by the Energy, Green Technology and Water Minister Datuk Peter Chin Fah Kui on Jul 16. 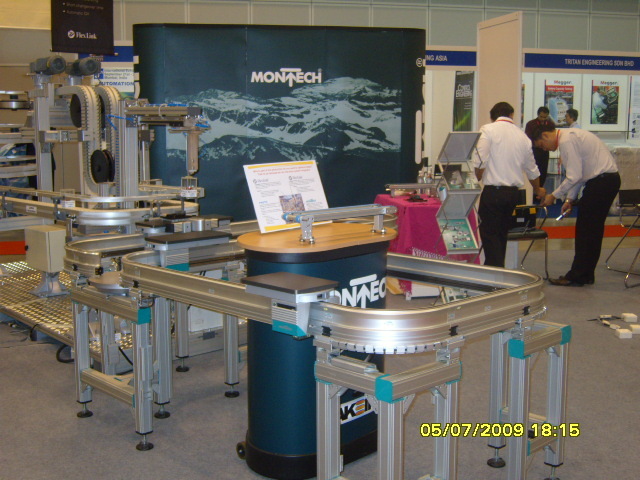 Takeiki exhibited the Montrac conveyors and the conveyors for Solar cell manufacturing.